Romanesco broccoli might be best described as regular broccoli’s tastier cousin. If you come across this gorgeous (and kind of scary looking) vegetable at a farmers market or your favorite grocery store, you need to buy it. Romanesco broccoli is kind of like a cross between a cauliflower and broccoli but tastes way better than both. 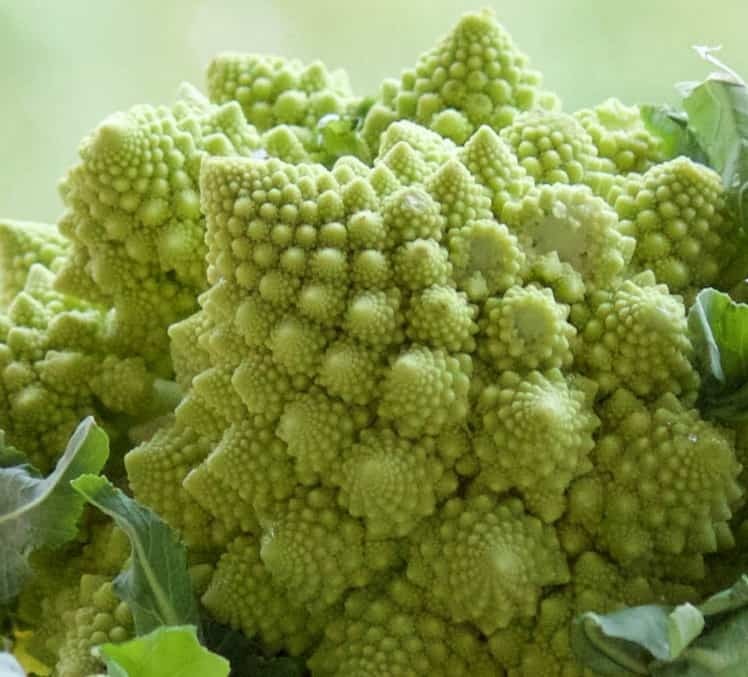 Romanesco broccoli can also double as a math lesson in fractals. Fractals are things in nature that have a continuous repeating pattern at different scales. Do you notice how this broccoli repeats and repeats and repeats from the tiny little florets to the larger crown? After you have a fun math lesson with your kids – or your friends – cook this!! We cooked ours with garlic, olive oil and salt. LOTS of garlic! Saute the sliced garlic in olive oil and salt until the garlic starts to caramelize. Cut the romanesco broccoli into manageable bite-sized pieces. Use everything! The leaves will cook up wonderfully. Add the florets and stems and leaves to the garlic, olive oil, and salt. Cook until the edge just start to brown. To make a “complete” and easy meal, we cooked up some gluten-free gnocchi. If you’ve got gnocchi, cook it briefly. We cooked ours for just about 3 minutes and then drained it and added it to my hot pan with garlicky florets of broccoli romanesco and gently tossed the doughy gnocchi with the romanesco broccoli. DELICIOUS! Enjoy! What was the last fun (or ugly!!) vegetable you brought home? I have never seen a Romanesco broccoli but I will be on the lookout for sure! We love trying new veggies! My funniest fruit/veggie story has to do with a school project where my son was told to have our family try a fruit or veggie we had never tried before. My kids are really good about fruit and veggies so there really wasn’t anything I could find at the grocery store other than a tropical fruit. Unfortunately for us, that tropical fruit was an ornamental fruit and not meant to be eaten. It was so awful all of us spit it out. It was a big joke around here for a long time. I’ve never tried Romanesco Broccoli before! Time to change and thanks for sharing with us! I love how romanesco fancies up any recipe. It’s so beautiful and mesmorizing. 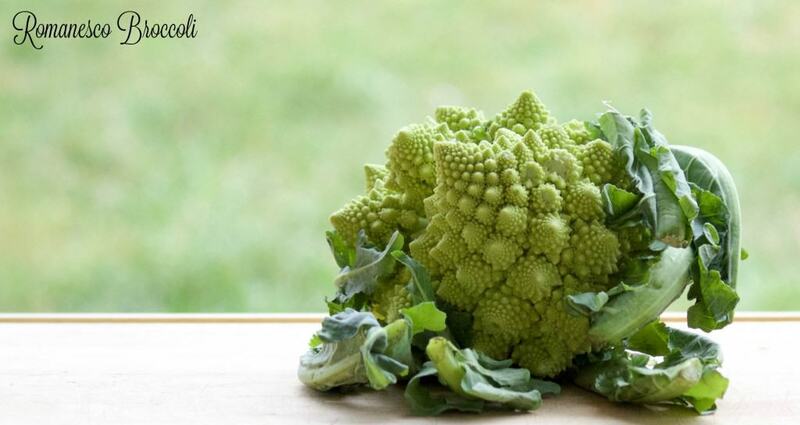 I love romanesco broccoli! It’s just so gorgeous! Thanks, Elena! It really is so pretty! I tried growing broccoli in my garden last year unknowing that the plant was a Romanesco variety. I had no knowledge about this variety until seeing this blog. I have thought something was wrong with the plant, a mutation or fungus so we didn’t harvest it. Now I know what we missed! Trying it again this year! Ha! I love that!! I have had no luck growing broccoli but maybe I need to try growing this variety.